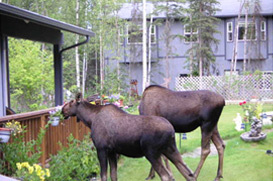 Talkeetna, Alaska Real Estate Explore Homes for Sale in Talkeetna, AK! Located at the confluence of the the Susitna, Talkeetna and Chulitna Rivers, Talkeetna is a small town in the Mat-Su Borough. Much of the downtown Talkeetna area is considered a National Historic Site and provides residents and visitors alike with a hands-on chronology of the history of the town. Nearby towns and cities include Anchorage, Wasilla and Palmer. Talkeetna, found at the base of Mt. McKinley in Denali State Park, is a hot spot for some of the coolest sporting and recreational activities in Alaska. Fishing, hunting, mushing, mountain climbing and more. And if you’re looking for something with a slower pace, within the city there’s plenty of shopping, arts and entertainment waiting for you. Check out the Talkeetna Chamber of Commerce website to find out more information. The average home price in the Talkeetna area is $180K, which is a 20.3% increase from last year. Current listings in this area range from $300K to $1.75M.